We introduce a novel approach for display ecologies that aims to support users in presentation and discussion scenarios by applying assistance from Smart Meeting Rooms (SMR). We present an infrastructure that allows multiple users to easily integrate their mobile devices into the device ensemble of a SMR and to utilize its large displays to show contents like slides, pictures and other data visualizations. With a tailored editor, multiple users can easily share contents and interactively coordinate the display of information. The content is automatically distributed to the displays of the SMR based on user-defined spatial and temporal links between contents as well as on semantic networks. Further, intention recognition is used to automatically adapt the representation of contents with regard to the current situation. In this way we provide a user-driven smart steering that supports users by automatically reducing their effort to configure and to work with display ecologies. 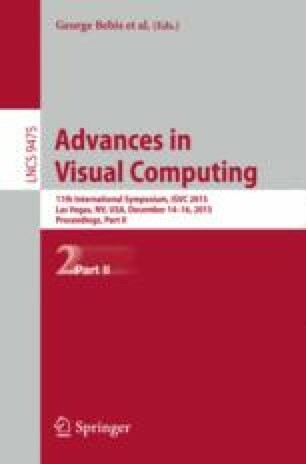 This research is supported by the German Research Foundation (DFG) within the research training group GRK 1424 MuSAMA (Multimodal Smart Appliance Ensembles for Mobile Applications).